Description: THE TRUTH LIES ON THE OTHER SIDE... South Baltimore's Angel Café is a trendy new eatery where patrons can enjoy exotic tea, aromatic coffee, and the psychic readings of clairvoyant Tia Melody. The star and main attraction of the restaurant, Tia claims to channel an otherworldly guide, Valentine, and somehow knows all there is to know about her expanding list of patrons. Kat Valenti is a workaholic attorney still coming to grips with the death of her fiancé, Peter, who died two years ago. 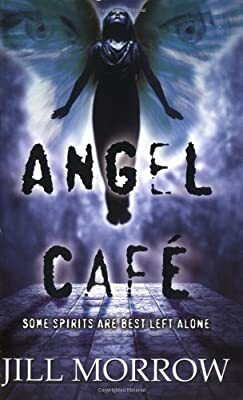 Although drawn to the Angel Café, she is skeptical of Tia's readings -- until her late fiancé 'contacts' her to shed new light on how he died. Kat's wariness only grows as more clues turn up about Peter's death -- and all of them lead back to the Angel Café. Tia Melody is no simple fortune-teller, and Valentine is no benevolent spirit. Valentine's true power may be almost limitless -- and he doesn't want to tell the future anymore... He wants Kat.